First at all, i will talk about Hostiso which was found by the experienced members on hosting market. They have served hosting services to many customers around the world. Today, they have become one of the world’s leading hosting service providers. The strengths of this supplier is their commitment to reducing CO2. So, if you are using Hostiso hosting services, you are contributing to protecting the environment. Their headquartered in Germany. Currently, they have databases in many countries such as USA, Canada, Singapore and France. Similarly hosting providers. Hostiso also offers basic hosting packages including: Shared Hosting, Reseller Hosting, VPS and Dedicated Servers. Their hosting packages are well appreciated by professionals and webmaster communities around the world. Their shared hosting packages are affordable pricing compared to other hosting providers. At Shared hosting packages, they offer 3 main plans including: basic, business and professional. Their shared hosting packages include features such as: free cPanel, Free SSL, Domain, CDN, DDOS … Unlimited sub domains, email accounts, mysql, daily backup data, 24/7 support. The price of their shared hosting from $3.99/mo to $9.99/mo for manual plans. This is a reasonable price for the international users who are looking for cheap hosting with many great features. For VPS packages, the customers have two main choices including: Management and Unmanaged VPS.From $14.99/mo, you can own a host VPS package with features including: 2 CPU Cores, 6GB RAM, 500GB HHD Storage, 100 MBit/SPORT transfer. 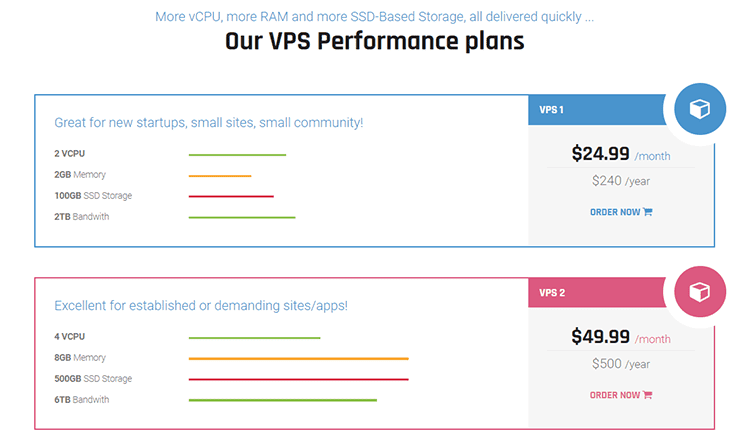 Customers can easily upgrade their Hostiso VPS packages to 10 CPU Cores, 50GB RAM, 1200GB Storage and 1 GBit/SPORT transfer at $69.99 per month. If you are looking for a dedicated server package with great features, Hostiso is a good choice for you. They offer you 7 dedicated server packages only from $149 per month. Their dedicated server packages include both Linux and Windows Dedicated Servers. Hostiso is one of the leading online storage providers. Their customer service is also appreciated by alot of customers who are using Hostiso’s services. Similar to other hosting providers, Hostiso also offers basic customer services such as Live Chat, Support Phone, Suppot tickets and email. Customers will receive excellent and fast support from the technical staff through support tickets and live chat. Their customer support system is always available 24/7 and Hostiso’s technical staff are available to help you solve any problem. If you are looking for a leading web hosting provider then Hostiso is a great choice. They offer hosting services for customers at afforable pricing and quick customer support. You can find a lot of good reviews from customers and partners of Hostiso around the world. They are always trying to develop their infrastructure and upgrade their hosting packages. Hostiso also offers domain registration services to thousands of customers worldwide at reasonable prices. As you know, this provider often promotions for their customers. Therefore, customers can own their products and services at low cost by using discount codes, let get the coupon codes on Domainhostcoupon‘ Hostiso store to get more saving.